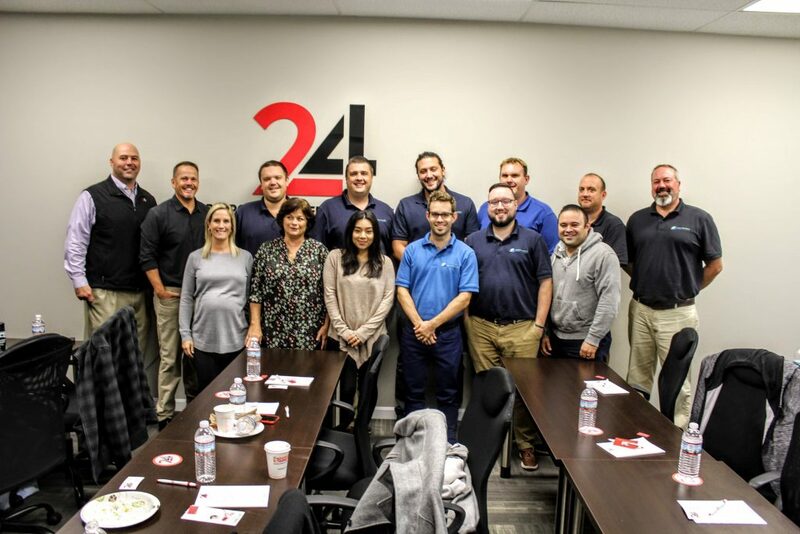 On September 25th, members of the Massachusetts Property Insurance Underwriting Association (MPIUA), also known as the Mass FAIR Plan (Fair Access to Insurance Requirements), took part in a 2-session training event hosted at 24’s headquarters in Easton. The Biohazard & Fentanyl Safety Training Workshop, a course originally developed for police & first responders, provided the participants with a working knowledge of the necessary tools to safely and correctly navigate through scenes contaminated with suspected fentanyl & other biohazards. The event included complimentary breakfast & lunch, as attendees examined the various types of bio-hazardous situations industry professionals most often face. Topics included; how to navigate safely within a bio-hazardous scene; how to identify and assess risk; and the steps taken by biohazardous professionals when responding to a contamination. The training also covered blood borne/airborne pathogens, infectious disease, feces, hoarding houses, bed-bugs/scabies, MRSA, animal hazards and more. The training instructor was Kerry Delano. 24 Services is the preferred restoration services partner of commercial & residential property professionals across New England. For more information about training & partnership programs, contact 24 today.